Whether you drive an Escalade or a Yaris, chances are you could use more storage space in your vehicle. Regardless of the size of your vehicle, most Americans are spending more time in their vehicles, and they need to get creative when it comes to storage. Before you start shopping for a bigger vehicle, consider some of these DIY tricks to create more storage space in the one you have. These tips can work in any vehicle and may be what you need to make the most out of your space. Today, Affordable Family Storage will discuss 4 easy tips you can follow to create extra storage space in your vehicle. For most drivers, seat backs don’t often cross our mind. You may notice when your child kicks the back of your seat, but we generally don’t use the backs of our seats for storage space. Instead, hang plastic storage pockets from the back of the seat to create a huge amount of storage space within your vehicle. You can easily get a half a dozen mid-sized pockets that can store a wide range of items. 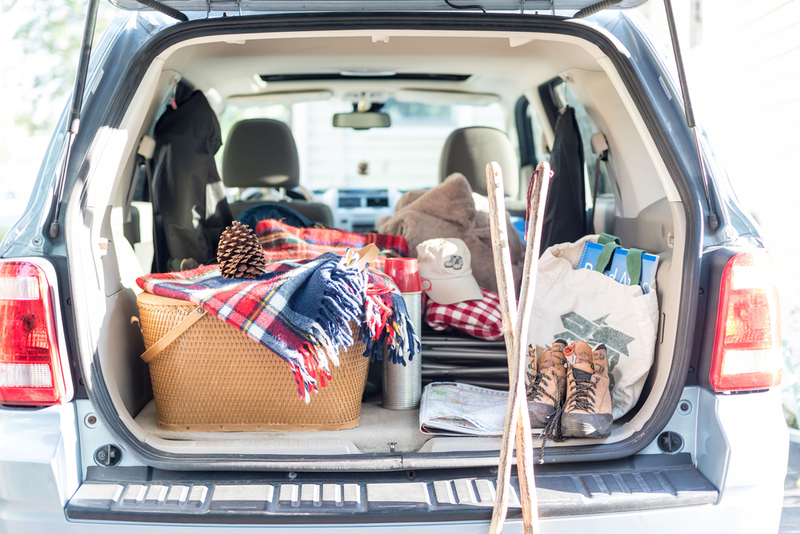 Declutter your vehicle floor by hanging a shower pocket and you’ll never go back to wasting seatback space. Trunk space can quickly turn into an unorganized mess. Instead of haphazardly piling junk in the trunk of your vehicle, consider placing collapsible bins in your trunk space. These bins can store anything from beach gear to groceries and will ensure that your items stay in place and remain organized. Look for bins with Velcro bottom attachments that can stick to the fuzzy lining in your trunk to ensure your items don’t slide around. When you need to place large items in the trunk, simply fold the bins down and you have a full trunk at your disposal. You’ll not only organize the storage space in your trunk with this handy little item, but your trunk will remain in order even if you head off-road. No matter what you drive, it is very likely you can find mounting racks for the top or rear of your vehicle. If you have an outdoor hobby like cycling or kayaking, these mounts are absolute must-haves. You don’t have to worry about removing your bike’s wheels every time you want to go on a trek with a rack installation. In addition, these racks are becoming less expensive by the year as companies are competing for your business. Now is the perfect time to invest in some exterior storage space for your hobby. One of the most convenient solutions you can invest in is a storage unit. Not only can you keep your bikes and kayaks in your unit, many vehicles can even remove back seats to free up serious storage space. Keep your seats in a storage unit when you don’t need them, and you’ll be amazed how much room you have for activities! If you need some extra storage space, consider calling Affordable Family Storage. Our climate-controlled facilities and 24-hour security team will ensure that your items remain safe and sound when they are not in use. Call us today to learn more at 515-325-0248.